Uecker & Associates, Inc., is a highly respected fiduciary services firm that has been in business in San Francisco for almost 25 years. The firm has worked extensively with the state and federal courts in many capacities, including Receiver, Trustee, Ch. 11 Plan Administrator, Examiner, Expert Witness and Special Master. 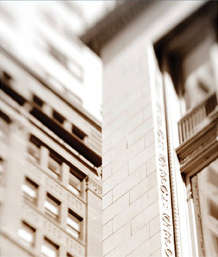 Uecker & Associates, Inc. also serves as an Assignee under Assignments for the Benefit of Creditors. Responsiveness and attention to details, as well as big picture awareness is what makes companies such as General Electric Capital Corporation, Wells Fargo Bank, Metropolitan Life and others select Uecker & Associates, Inc., when they need fiduciary services assistance. We are an established group of professionals, whose commitment to excellence and service is a well-known tradition in the business, financial and legal communities. The firm works with major law firms such as Bingham McCutchen; Buchalter, Nemer, Fields, & Younger; Sheppard, Mullin, Richter & Hampton and many others. Focused in the greater Bay Area, Uecker & Associates, Inc. also has the experience and the capability to operate in other geographical areas when requested. We can provide staff for off-site review in monitoring businesses, properties or accounting procedures that require our level of fiduciary responsibility. The Uecker & Associates management portfolio includes over 5 million square feet of commercial space and 2,500 residential units. Our ever-expanding services now include crisis management, liquidating agent for businesses and inventory, fraud investigation and asset restitution agent in criminal court cases.